Caption slip reads: "Photographer: Mitchell. Date: 21-08-1958. Reporter: Reay. Assignment: Check for $1,628,550 presented to Mayor and Councilman. 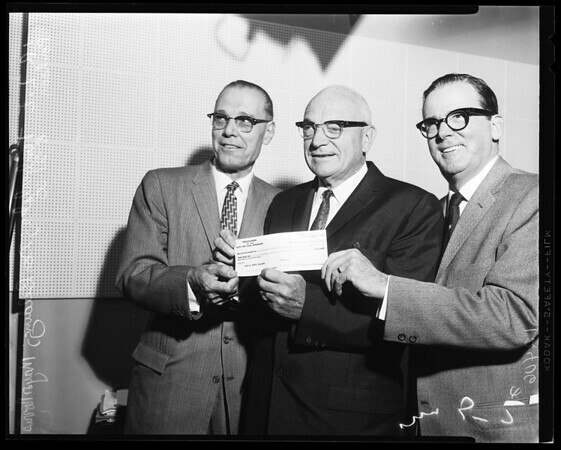 57/58: L to R: Councilman L.E. Timberlake, Don Belding, pres. of the Board of Airport Commissioners, Mayor Norris Poulson."